Are you ready to enjoy a bathroom that’s been fully customized just for you? For the bathroom makeover of your dreams, turn to the trusted professionals at Star Home Remodeling. We can transform the bathroom in your McKinney, Texas, home into the space you’ve always wished you had. 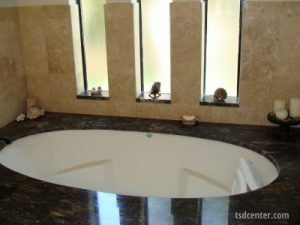 For instance we can remodel your bathroom, turning it into a spa-like retreat that features a luxurious soaking tub. Or, we can remove the bulky tub in your bathroom and replace it with a modern shower, adding style and functionality to the space. We can complete virtually any service to ensure your bathroom looks and functions exactly as desired. Meeting with you at our showroom or your home to learn all about the vision you have. At this time, we’ll educate you all about your options, ensuring you have all the information you need to make the best decisions for your renovation. Curating all of the ideal products you want to incorporate into your updated space. This can include anything from flooring to countertops to a traditional bathtub. Completing all steps of the construction and installation processes, including plumbing and electrical work. Furthermore, when you turn to us for your bathroom renovation, you can feel confident that your project is in the hands of skilled professionals. We have been part of the home improvement industry since 2007 and have earned a number of accolades throughout our years in business, including multiple Best of Houzz awards. If you are ready to learn more about the stunning bathroom makeover we can complete at your McKinney, TX, home, contact Star Home Remodeling today. We’ll be delighted to answer any questions you have and get you well on your way to enjoying the bathroom you’ve always dreamed of.